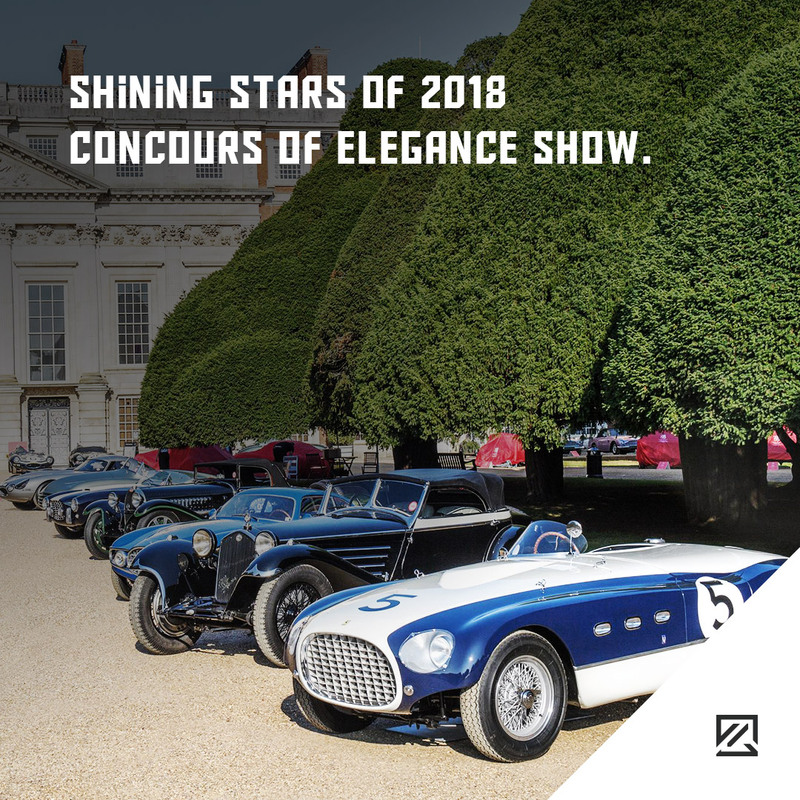 Taking place in the historic grounds of Hampton Court Palace, the Concours of Elegance show took place from Friday 31st August to Sunday 2nd September. It has been held for six years, with the first show in 2012 to celebrate the Queen’s Diamond Jubilee. The premise of the show is to celebrate the finest cars ever created. So what were the highlights from the 2018 Concours of Elegance show? The Vanquish has a 6-litre V12 engine and is considered a high-point of Ford’s ownership of Aston Martin. The iconic sports car had a 460bhp, but customers had to get them quick, with only 1492 being produced. The 2002 Vanquish was designed by Ian Callum who is now the Chief of Design at Jaguar. One of the stand-out cars that created big crowds at the show was the 1936 Lancia Astura Bocca Cabriolet. The impressive and beautifully styled machine features a 3-litre V8 engine. However, the downside is the limited power of 82bhp makes this cabriolet ideal for touring and less so for racing. Perhaps not the most impressive Ferrari and certainly not the most attractive model, the Export ‘Uovo’ attracts attention as it is a one-off. Ferrari fans gathered to see this exclusive early Ferrari that was designed for racing driver Count Giannino Marzotto by Franco Reggiani. In 2017, this very car sold for $4.5 million at an RM Sotheby’s auction. This model was the last in the line to feature the pre-war six-cylinder engine. The model and engine were famed for being exceptionally quiet and incredibly smooth. In its heyday, the car was impressive for its style and speed, reaching a top speed of 103 miles per hour. The car was popular, leading to S2 and S3 models being created. However, the S1 triumphed as it was lighter and quicker. This impressive and sleek supercar saw four consecutive victories at the prestigious Le Mans race from 1966 to 1969. While engineered in Britain, it was American-financed. This particular model at 2018 Concours of Excellence displayed bright Gulf Oil branding and colours. This is a timely display as Gulf and Ford have recently rekindled their partnership to unveil a Ford GT 1968 Heritage Edition.